Free delivery on all items. Please contact us for pricing and all of your API sourcing needs! 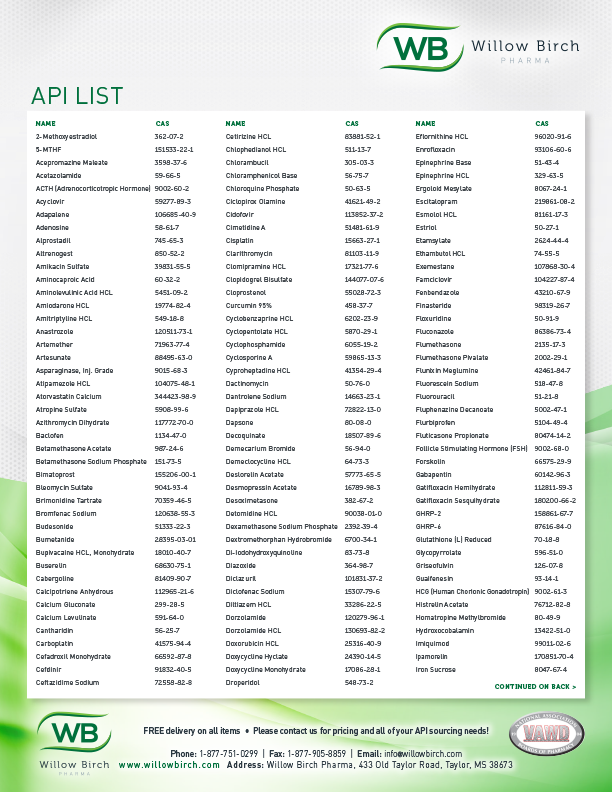 Click here to download the API List PDF. Prices valid until Oct 31st, 2018. Contact us for AWP info. Please contact us for our full list of products and bulk pricing! 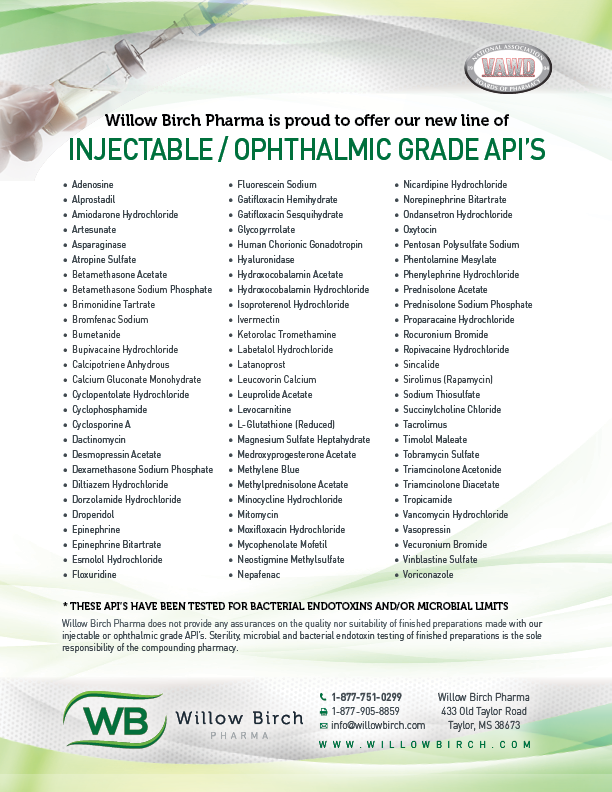 Willow Birch Pharma is proud to offer our new line of Injectable / Ophthalmic Grade API's. 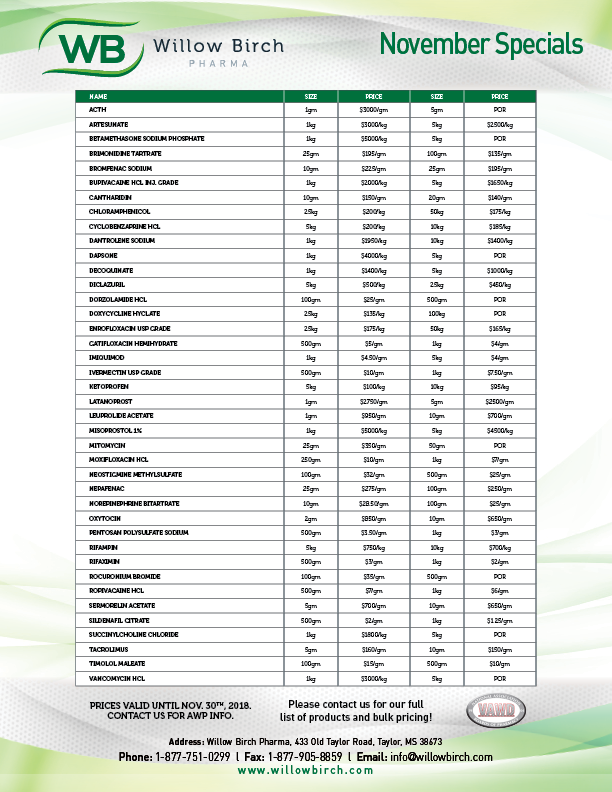 * These API's have been tested for bacterial endotoxins and/or microbial limits.